Earlier this Month Motorola had Launched a new Smartphone for their Most popular G series the Motorola Moto G6 plus at a Price tag of Rs 22,499, Now the Company decided to take a step ahead & Launch another Smartphone with some new Specifications & with no Motorola Traditional look. Here we are to talk about the Motorola’s latest The Moto One Power Smartphone aka Motorola P30 Note in China. So Starting with the Highlights by the Company, As it is a Android One Device both Motorola and Google put the effort to built this Smartphone. Motorola one power has a massive 5000 mAh battery & a 6.2 inchs Display. Being an Android One device Motorola One Power will Receive updates to the latest Android OS, Android One Devices are benefited to Enjoy Latest of versions Android faster than most of the Smartphones also they are updated with monthly security updates that helps in keeping the Smartphone secure. With Android One Program there are also many things on the go like Google Photos which is a really Smart Gallery for Images it can automatically create Albums, Collages GIFs etc, it gives free storage upto 15 GB with Google Drive. Google Assistant is also in which helps in doing your work with just a Voice. Talking about the Battery you can get easily upto two days of Screen on time on a full charge. It has The 5000 mAh battery And also this Smartphone supports Fast battery Charging & thankfully Morola is still Supplying the turbopower Charger which as Motorola Claims it gives up to six hours of power in just 15 minutes of charging. Talking about the Display it has Edge to Egde Max Vision Full HD+ 6.2 inchs 19:9 Aspect ratio Display. Going Under the Hood, Motorola One Power is Powered by Qualcomm Snapdragon 636 SoC, it is a Octa Core Processor, this Phone sports 4 GB of RAM. 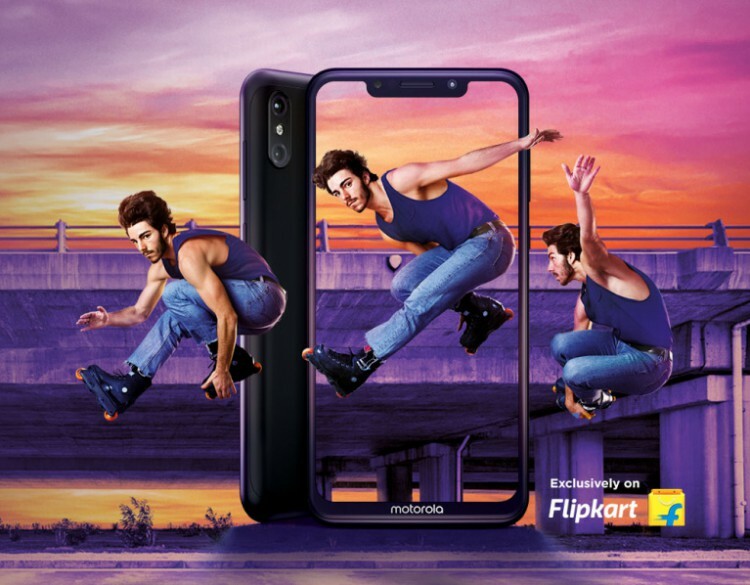 Now the very Important Part of a Smartphone The Camera, Motorola One Power has 6 MP + 5 MP dual rear camera system it Captures “clear, bright, detail-rich images, even in low light”. Motorola sometimes skips on 4k Video Recording on their budget Smartphones but now thankful 4K video Recording is there. Plus, it has a 12 MP front camera, we can say it clicks good selfies, you can add a blurred background effect in real time. Also it has Google Lens Support which lets you find knowledge of almost anything you see. You can Share, Copy the stuff with click! Stay tuned with Alloftop of more Information like this! Next Next post: Nescafé É Smart Coffee Maker Now Available in India | All in One Maker + Container + Bluetooth !